Multi-channel sales is an effective way to boost the hotel’s profits. Unfortunately, it requires effort and time, which translates into the increased costs. One of the effective solutions to tackle the issue. is the introduction of a system which automates the management of sales channels, such as Channel Manager. More channels mean more sales opportunities, but they come at a price... and it does not just concern the money. The real cost is the workload and time needed to effectively manage multiple sales channels. How to estimate the cost of multiple-channel sales management? Manual management of multiple channels is tedious and time-consuming. It boosts sales, but the employees have far less time to serve the guest, which in turn could result in less favorable reviews and a drop in sales in the long run. Assuming that the hotel has a few categories of rooms, each comprising of singles and doubles, as well as at least two price rates, manual addition of the wrong pricing is highly likely to occur. It makes the offer inconsistent and comments such as ‘the website shows a lower price’ are not rare. Manual configuration carries the risk which every hotelier would like to avoid, namely the overbooking. Selling more rooms than we can offer entails a considerable workload for the employees. It is related to the necessity to find a replacement accommodation, or even with the cost which covers the difference in the room price. 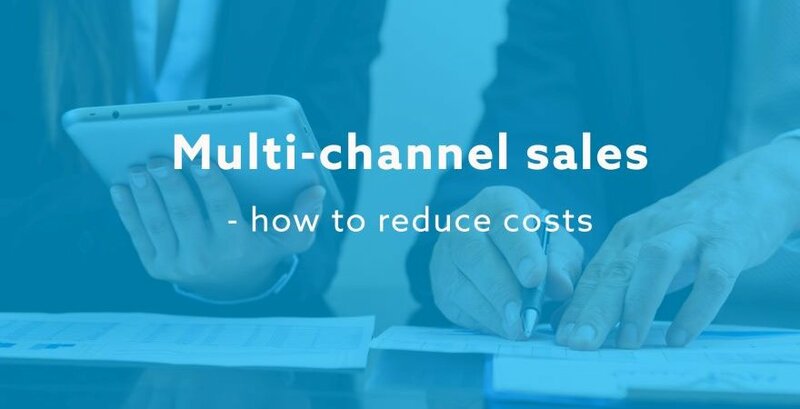 How to reduce the cost of multi-channel sales management? The time required for manual changes to each distribution channel can be reduced to the minimum with the use of the CRS system. The Channel Manager automatically updates prices and availability on all connected channels, leaving employees with more time to serve guests. In case a given day is sold out, CRS system will close sales on all channels with a single click. As a result, we avoid the unnecessary stress associated with the overbooking, as well as the potential costs to cover the transfer of the guest. Channel Manager also increases the hotel’s visibility online. With the CRS system, all OTAs can use the same, usually larger, pool which manually sets the allotment on each individual channel. The PRO version of Profitroom Channel Manager provides the feature of exporting reservations directly to hotel's PMS. Such a solution saves the reception staff time and minimizes the risk of errors related to the manual creation of bookings, for instance, an error in date, doubled bookings, etc. A simple and quick way to offer distribution encourages hoteliers to look for new distribution channels and, at the same time, it reaches a higher number of those interested. CRS gives full control over the published content, which has a positive influence on the hotel’s image. Would you like to reduce the cost of the hotel’s sales channel management? Profitroom Channel Manager is a simple tool which automates the distribution process of the hotel’s multiple sales channels. Contact us to find out about Channel Manager tailored to the needs of your hotel.